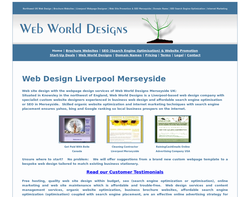 Web DesignWeb site design with the webpage design services of Web World Designs Merseyside UK:A Liverpool-based web design company with specialist custom website designers experienced in small business web site design and search engine optimisation, and more importantly, internet marketing techniques with search engine placement, can help your business prosper on the internet. 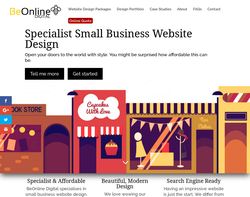 BeOnline specialisies in getting small businesses online. We provide a headache free, affordable and complete package which includes everything you need to get going online. 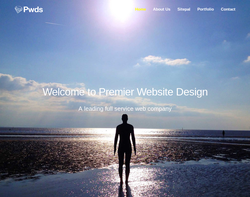 Premier Website Design Services offer web design and hosting services. 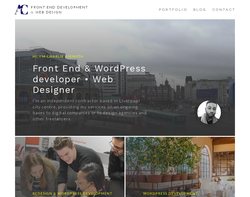 sdesign1 are a company of web designers based in Liverpool, near the end of the M62. Their clients are a mixture of local and national, public and private sector. Sevices include web design and development, application development, usability and accessibility testing, training and online marketing. We specialise in providing websites built on Content Management Systems which allows you, the owner, to easilly add new and updated content to your site yourself. Your website is therefore freely able to grow and diverge alongside your business. 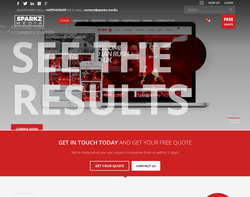 We develop eye-catching and easy to navigate websites to suit all requirements and budgets. Whether you are looking for an 'Online Business Card' or looking to provide a full e-commerce experience for your prospective customer, we can provide exactly what you are looking for. 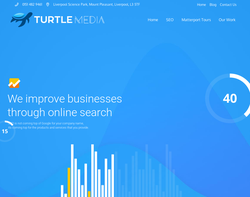 We are a Digital Agency based in Southern England and we focus all of our efforts in helping small-to-medium sized companies grow their business by increasing their online presence and as a result generate more quality leads and increase online sales. Being a small business ourselves we are aware of where the important areas to target are on the web, and we use this knowledge to deliver results that are guaranteed to help make your firm much more productive in its daily operations. 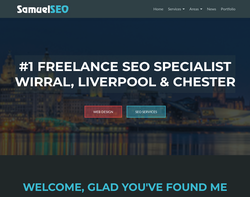 We are a Liverpool based web design agency who love creating websites and marketing campaigns that look great and work well for you. 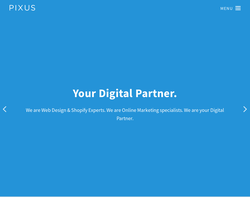 Our team is a great mix of web specialists with skills in design, development, code, SEO and wider site marketing. 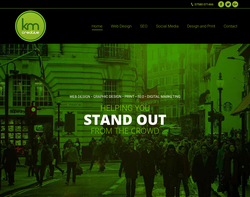 We specialise in bespoke WordPress designs. 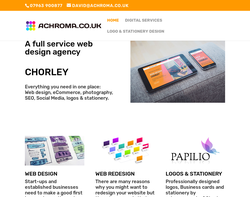 KM Creative covers the North West area offering Web Design, Web Hosting, SEO and Design for Print services. 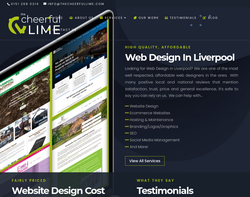 The Cheerful Lime offers affordable web design & SEO to small businesses across Liverpool & Merseyside. 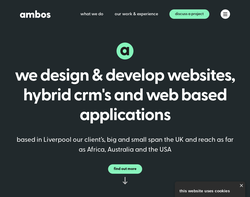 Whether you are looking for an eCommerce website to sell your products or a brochure website to showcase your portfolio we are here to create a fully responsive site for your business. 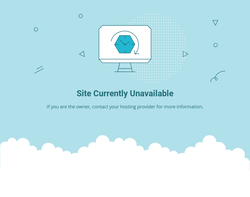 We'll take care of hosting and host your site on our secure servers. We also offer graphic design & social media marketing services. 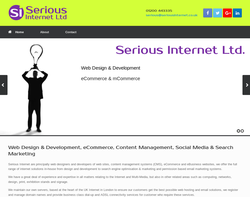 Bespoke web sites including eCommerce. 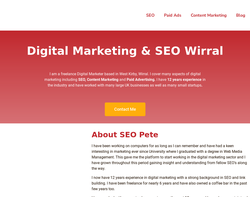 Website Design & Search Engine Optimization. 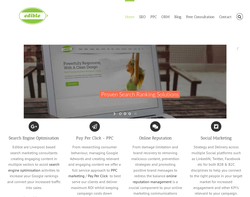 We offer a full range of SEO packages and various types of website design packages also. All the information can be found on the website or fell free to call! Always happy to talk and offer any help or answer any queries that you may have. Thank you. 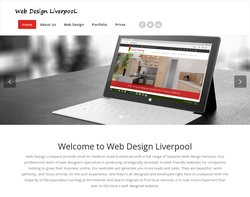 Here at Web Design Liverpool, we offer fully bespoke websites that not only look great but work great. Each and every website we design are scalable across all devices and browsers such as iPads, Android Tablets and Smartphones. So whether you are an ecommerce store, an SME or a large corporation, our talented team can develop a bespoke solution, however large or small the project may be. 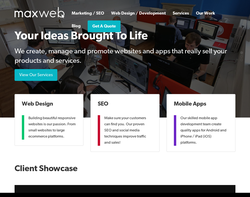 Established for over 10 years, Maxweb has been offering bespoke CMS Web Design, effective SEO and PPC Services, Graphic Design and iOS/Android App Development to local and national SMEs. 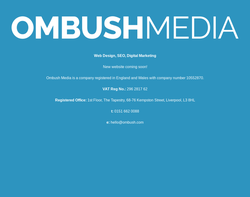 Ombush Media is a Liverpool based company providing quality web design and Internet marketing services. 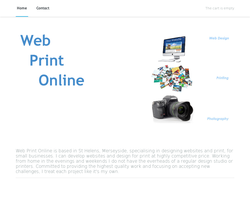 Web Design, Logo Creation and Internet Marketing Services. 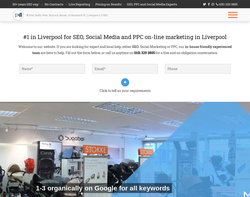 Edible is a Liverpool SEO, PPC, Web Design and Marketing consultancy with SME clients from sectors such as health, fitness and beauty, medical, research and manufacturing through to e-commerce and retail for both business to business and business to consumer markets.